Purchase with credit card or PayPal. Offload from our truck to your existing concrete pad, make electrical connections, and you’re done! 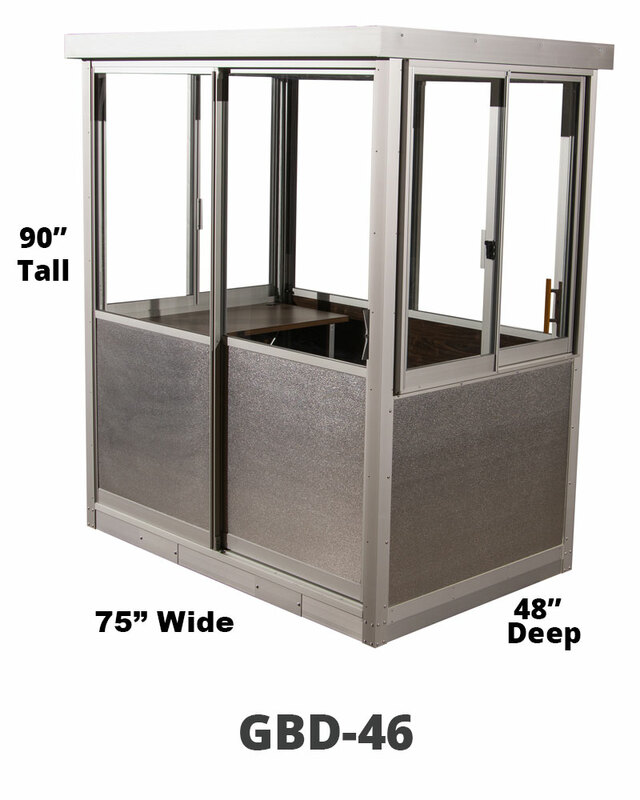 Guard Booth Direct manufactures economically priced guard booths to house security personnel and their equipment. 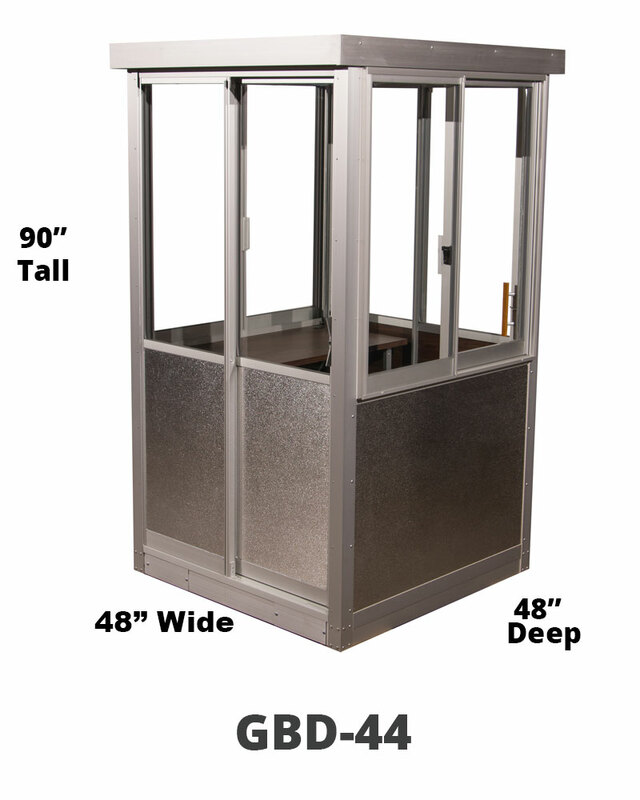 These quality booths can also be used for other applications including control booths, parking attendant shelters, valet kiosks and more. They are shipped ready for installation, or for your exterior customization. Doors – Includes sliding doors on two sides for easy access. 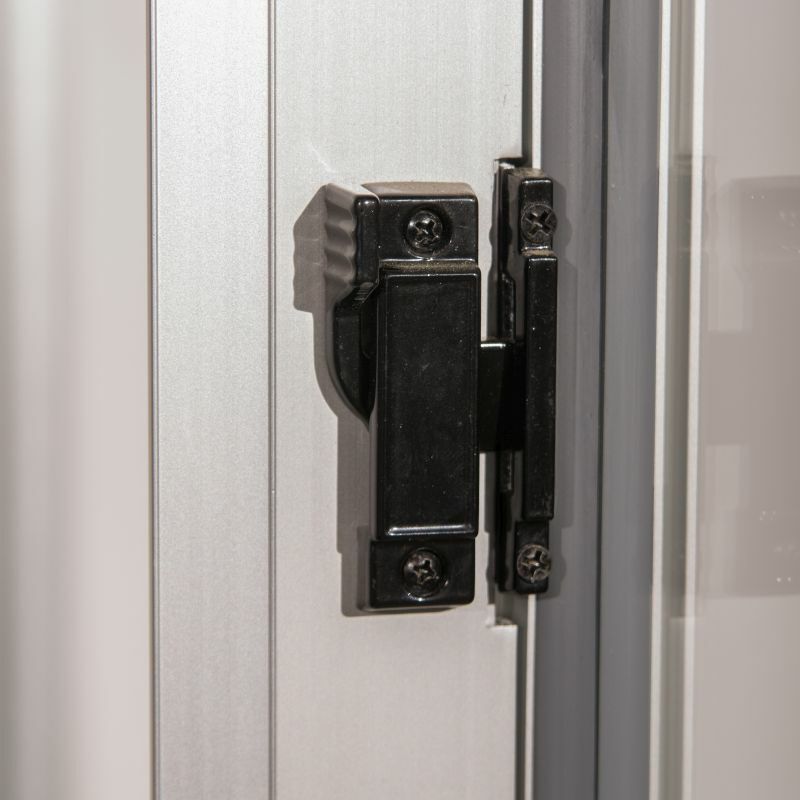 Doors are constructed of rust proof aluminum and include pull handles with locks. 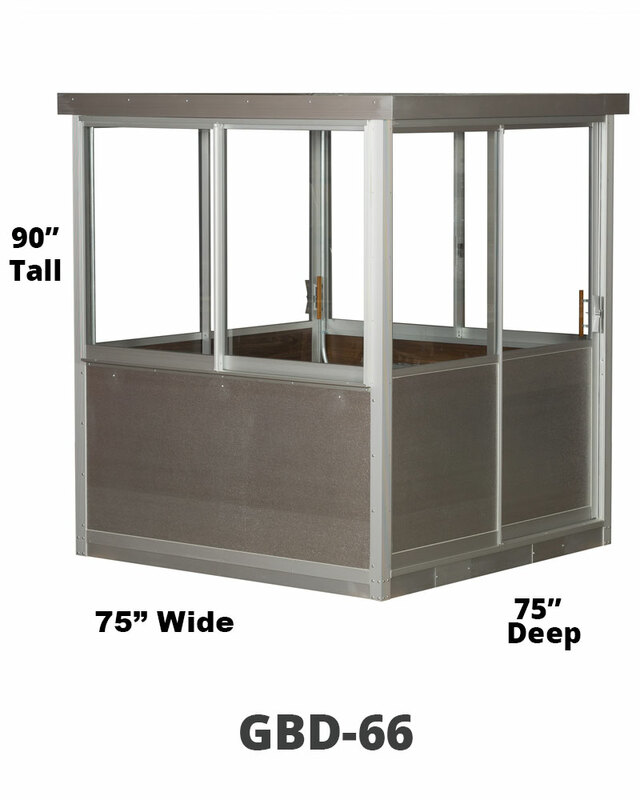 Windows – This booth includes full perimeter glazing with 3/16” clear tempered safety glass. 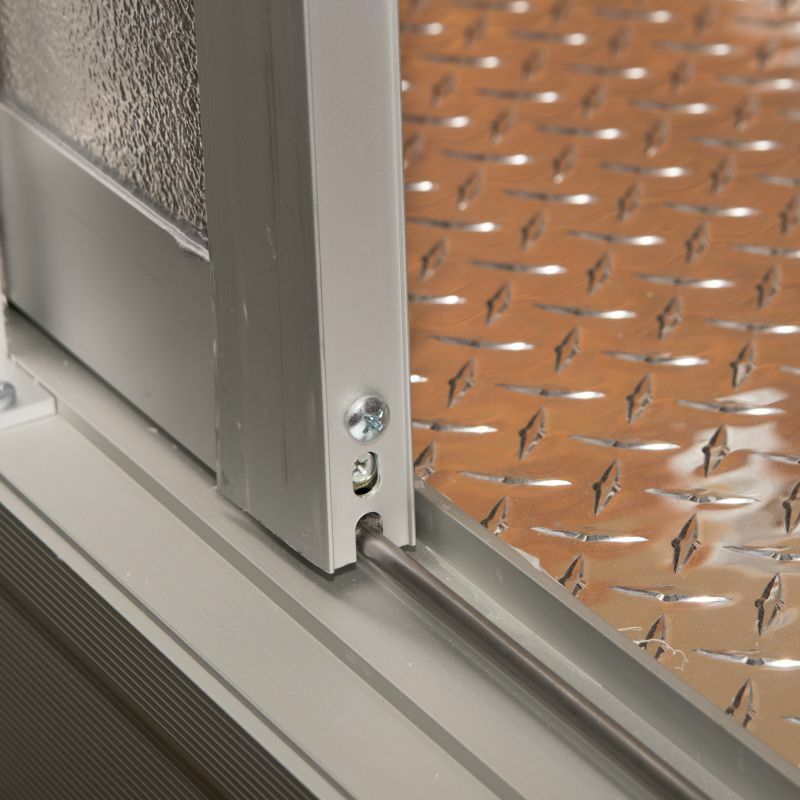 Horizontal sliding windows are located on each end for improved cross ventilation. 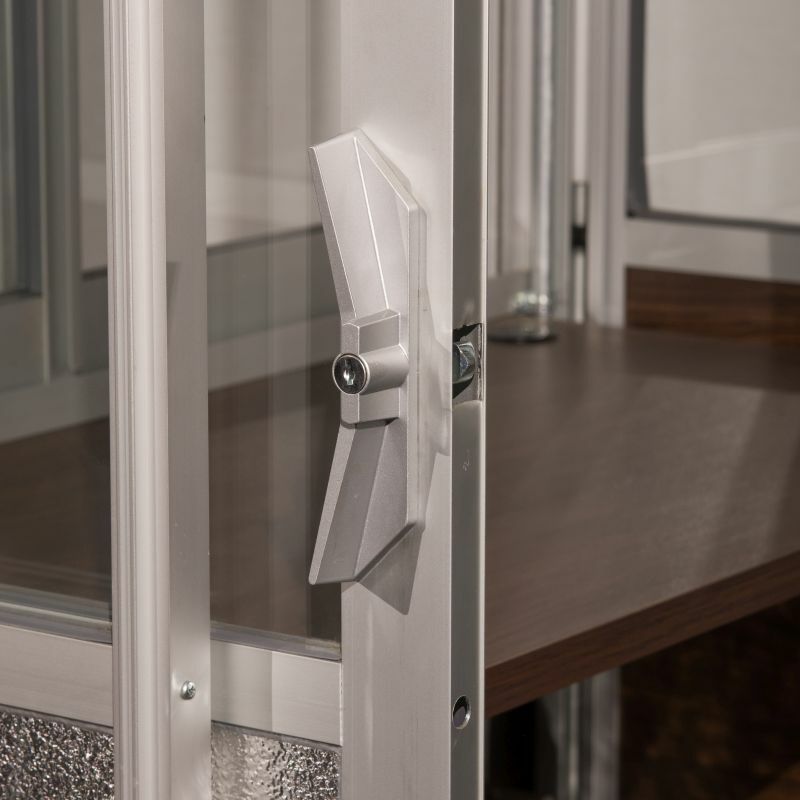 Windows include a maintenance free anodized aluminum frame with heavy-duty cam-locks for added security. 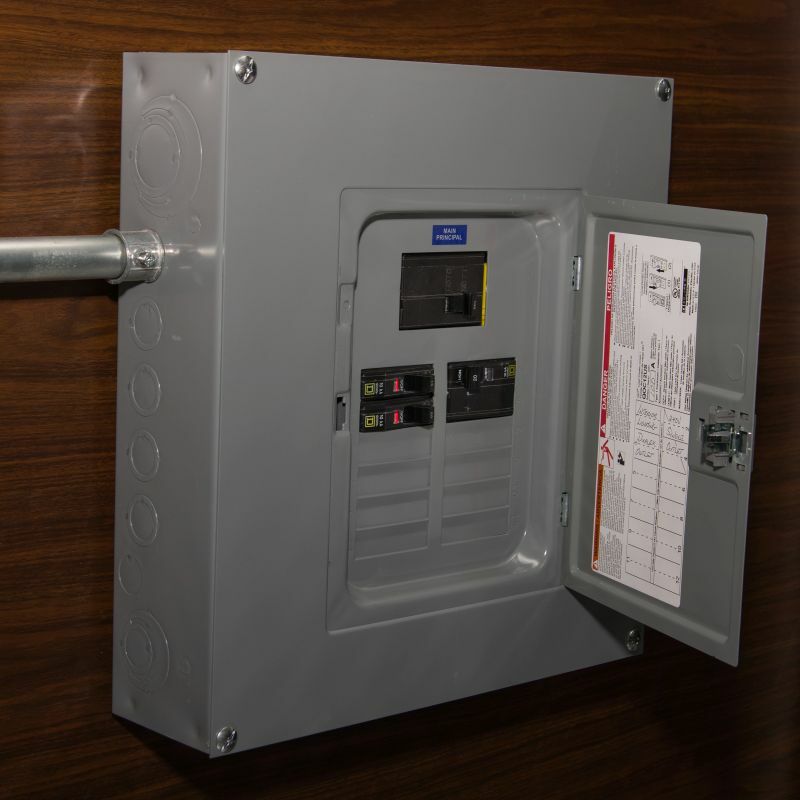 Electrical – All electric is surface mounted in EMT conduit that terminates in a single phase, 100 amp, 12 space electrical panel. (1) 115 volt duplex outlet and (1) 230 volt single outlet, surface mounted 34 watt fluorescent light fixture (no bulbs included). Floor & Base Frame – Factory installed, insulating floor structure with heavy duty, diamond embossed, aluminum finish. Base frame made of anodized aluminum and includes forklift pockets to facilitate easy off-loading from the delivery truck.